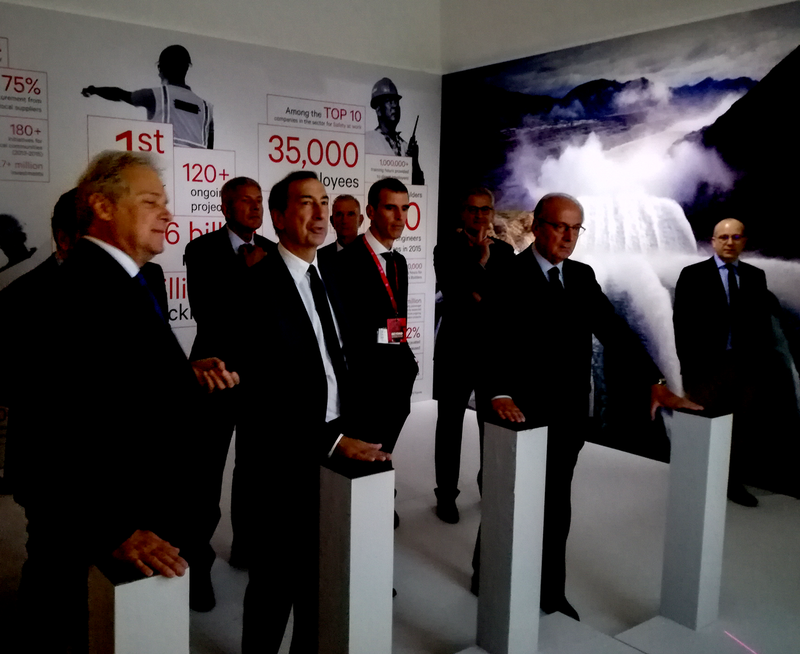 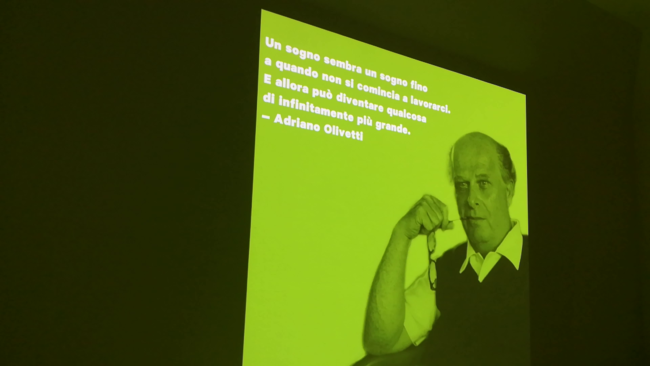 “On the occasion of its 110th anniversary, Italy’s Salini Impregilo celebrates with the exhibition “Beyond: Delivering the Future for the Past 110 Years”. 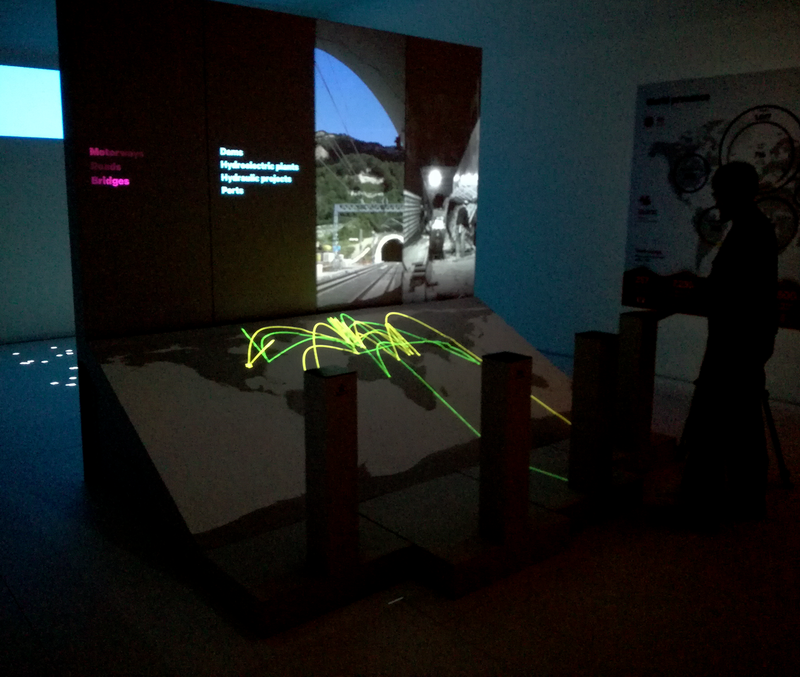 The exhibition brings visitors on a journey through the world of large, complex infrastructure, offering them an engrossing experience inside this little-known industry. 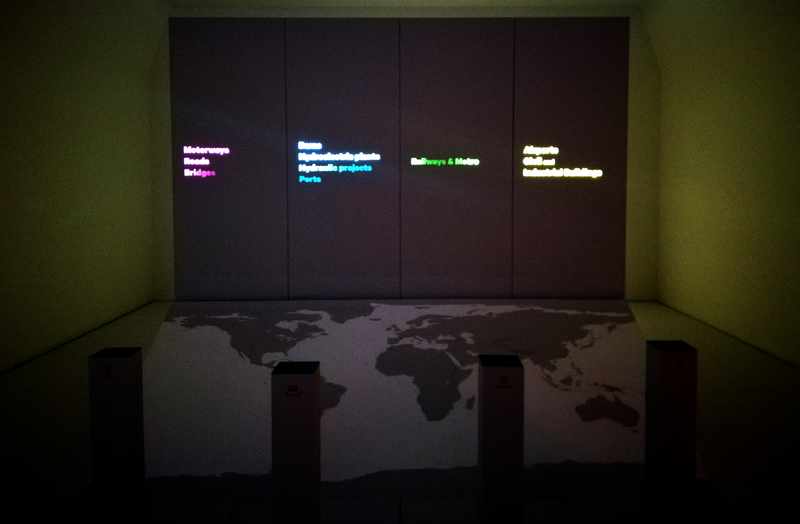 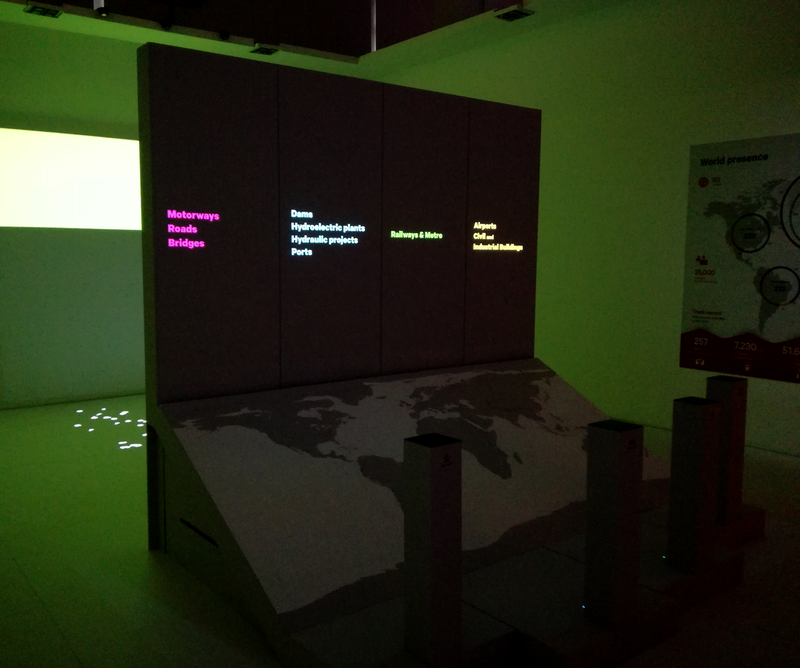 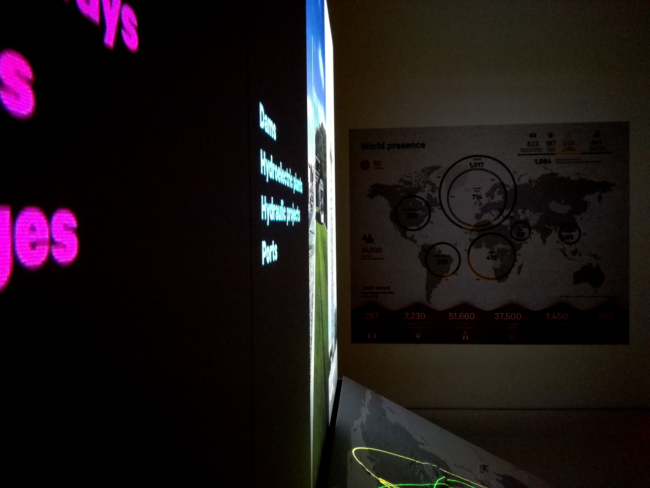 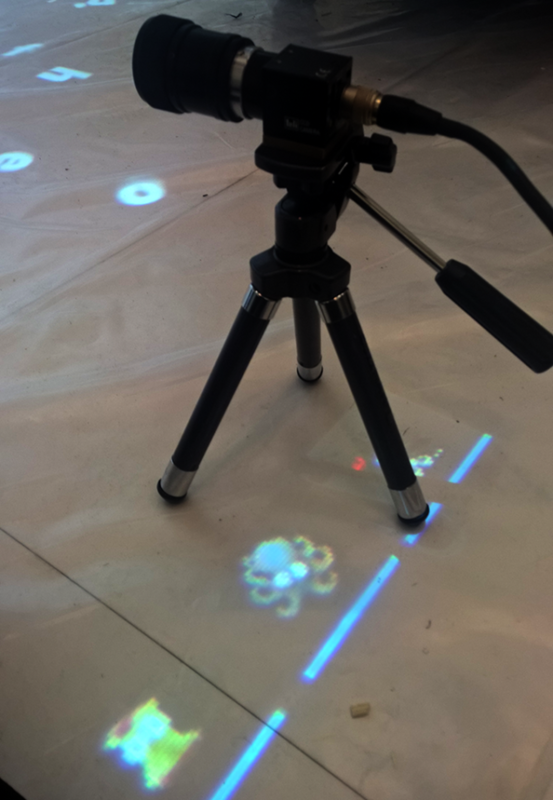 Design, development and setup of two interactive videoinstallations for the closing room of the exhibition. A map of the world, a video wall, four sections, each depicting a different kind of infrastructures. 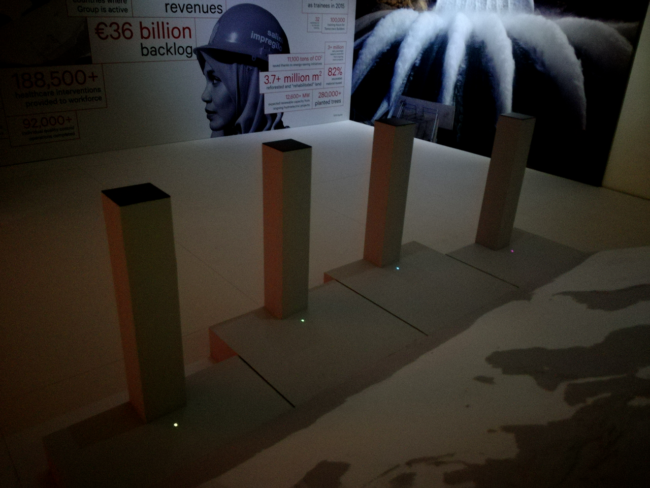 Four interactive columns. 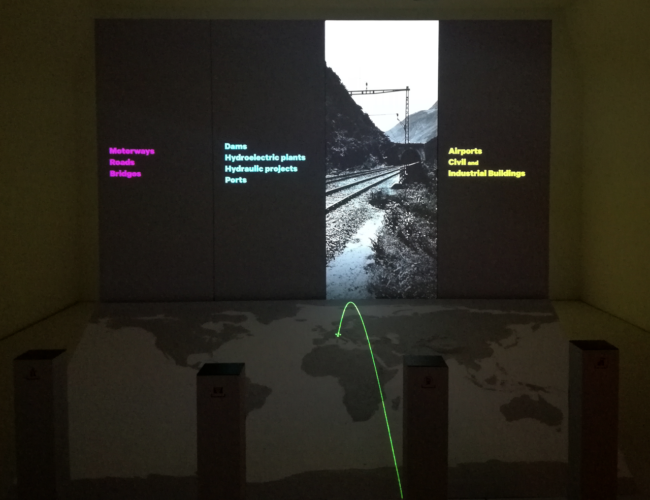 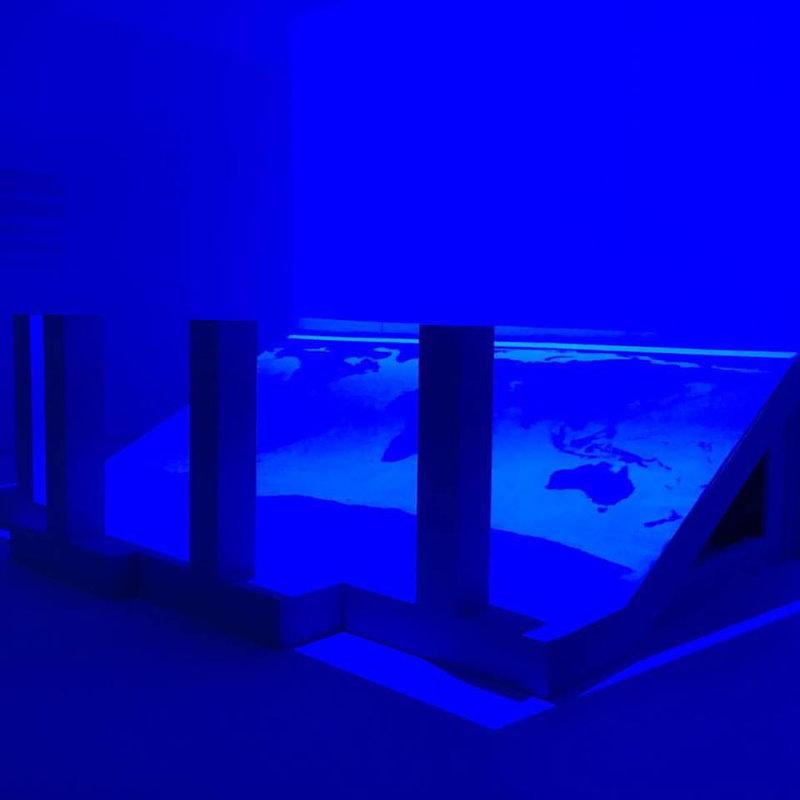 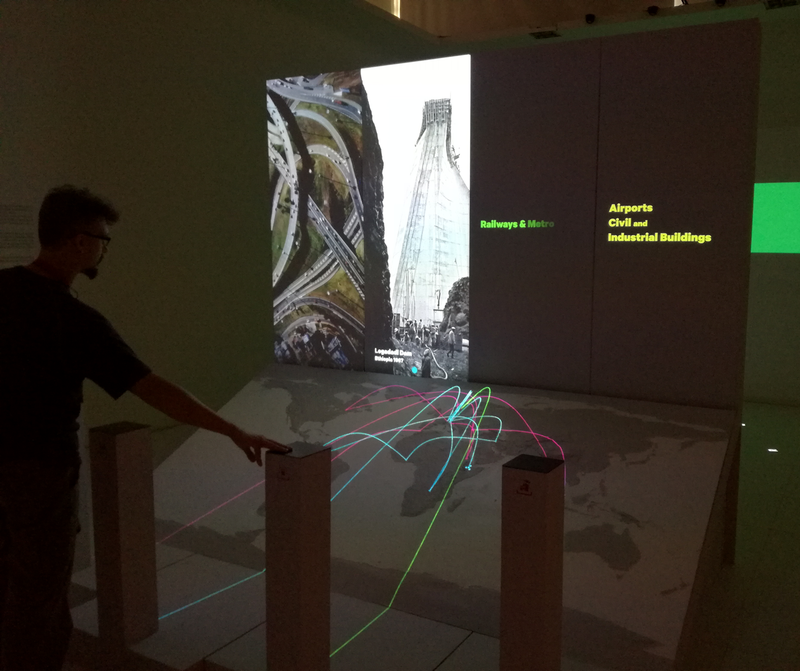 As a visitor touches a column, a path starts hopping around the world map, highlighting chronologically the sites where Salini built infrastructure. 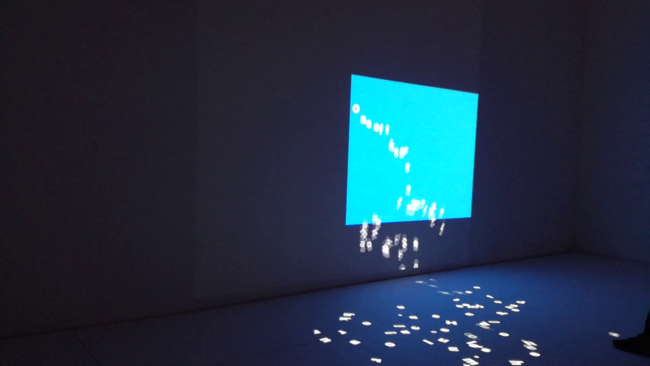 Letters swarms around the floor, an empty colored rectangle hangs on the wall. As the visitor walks among the letters and touch them, the letters run away from the floor and go to the rectangle to form an inspired sentence from historical figures. 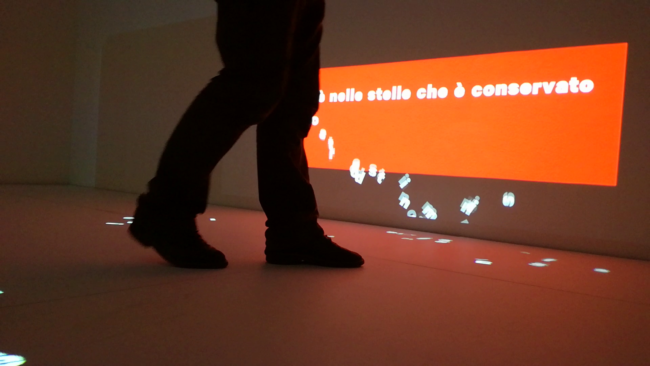 Done with LeftLoft for Salini Impregilo.